What happens when a coffee brand gets tickets on itself and decides to morph its HQ into an all-conquering roastery, tasting house and cafe? If the answer is anything like Veneziano, it's a damned good thing. 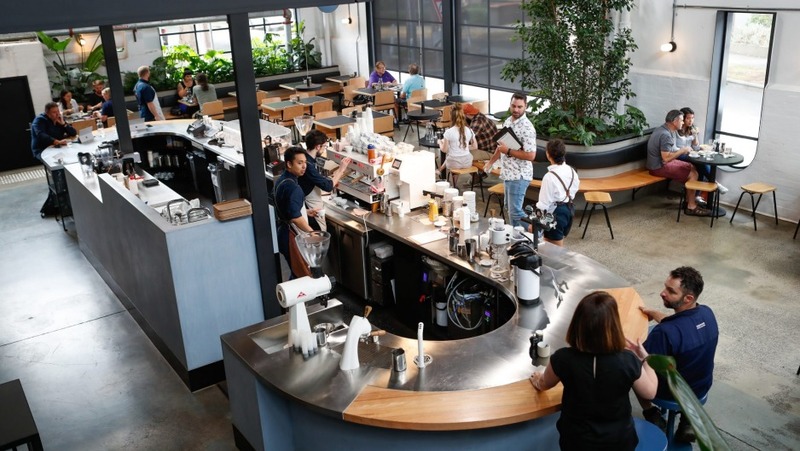 Since opening in August last year, the enormous red brick warehouse in backstreet Richmond has become caffeine's answer to the Apple store: a glossy-surfaced paragon of design where coffee is king, but the food doesn't get left in the third-wave shade. First impressions count, and at Veneziano you can almost imagine coffee nerds muttering, "the eagle has landed". The working roastery sets the pace on the way in, with a smelter's worth of stainless steel and worker bee hoo-ha sequestered behind noise-squelching glass. 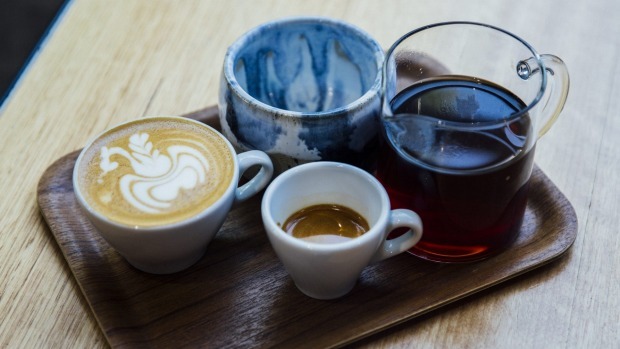 There's a dedicated cupping space, too, but there's no beating the democratising appeal of the central counter, where solemn baristas ply their trade and ringside seats are the cafe equivalent of a restaurant chef's table. The fitout by Techne embraces the huge proportions of the double-tiered warehouse and come up trumps with a well-spaced, calming room. 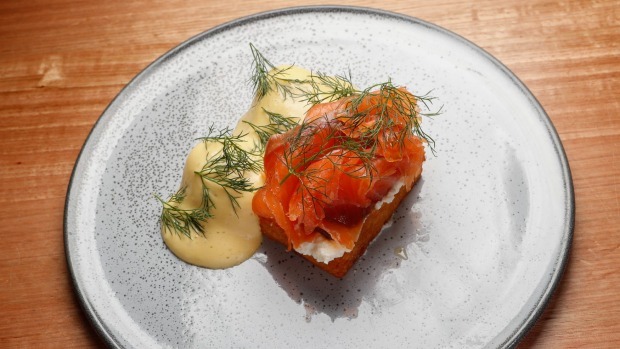 A friend recently floated the theory that eggs benedict is the mark of a cafe, and the version here is pitch-perfect, with a crunchy potato rosti supporting whipped ricotta and stickily good smoked salmon ($22). 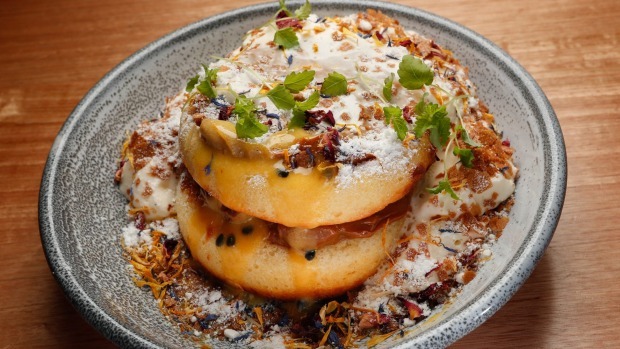 Fat buttermilk pancakes ($18.50) unapologetically bring dessert to breakfast with white chocolate and caramel, while pan-fried barramundi ($24) brings refinement with smoked bacon dashi broth. There is a wagyu burger ($22), naturally, and it's a good one. 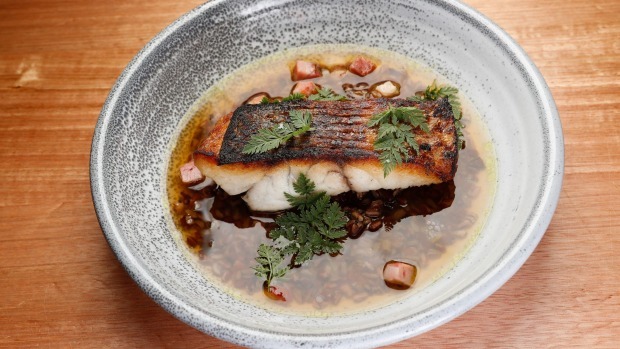 Ditto for the parmesan-crumbed chicken schnitzel ($21). Slightly rubbery grilled calamari ($20) lets down its bandmates of a pesto-like broccoli studded with roasted pepitas and a salad of wild-looking greens that could have been plucked straight from a Richmond nonna's garden. Dessert? Head straight to the glass cabinet to choose a brownie or escargot. File under "spoilt for choice". Pro tip: opt for the "barista breakfast" ($12), a triple-flight of house blend Bond St milk coffee (a two-bean blend of Colombian and Ethiopian that makes a mouthful of silky toffee), with beans for espresso and filter and cute cards with tasting notes. Or hit the reserve flight for $20. Strike one for the return of retro drinks with the Ovaltine milkshake. The only juice is cold-pressed orange, while organic soft drinks come from Melbourne Soda Co. It's also an excellent idea to see one-litre pitchers of organic sparling cordial in flavours such as apple with ginger and rosella or ruby grapefruit and lemon aspen. By the way, there's no booze.